Known for its pristine, white-sand beaches and world-class art museums, Sarasota, Florida is an ideal destination for vacationers and local residents. One of the most visited attractions in Sarasota, Florida, is the Venetian mansion and the museum built by John Ringling, of circus fame, in the early 20th century. Also popular are Sarasota Jungle Gardens, where you can hold an alligator, and Historic Spanish Point, a nature preserve with historic and archaeological exhibits. Golf, jazz, water sports and outdoor shopping and dining are among Sarasota’s many other pastimes. • Sarasota windstorm insurance has become increasingly important to its residents due to the active hurricane seasons of the past years. • Sarasota home liability insurance is included with a Florida Peninsula policy and limits may be increased up to $400,000 with the purchase of a Platinum package. • Flood Insurance coverage can be included to your Sarasota homeowner’s insurance policy. Flood water damage can be a very expensive home repair and destroy the valuable contents of your home. Federal law requires some locations that typically flood to have flood insurance, which isn't covered by most homeowner's policies. Contact a Florida Peninsula insurance professional for a quote on Sarasota Florida flood insurance. • Other insurable Sarasota home owner risks covered by Florida Peninsula Insurance Company include protection to screen enclosures, animal liability, and theft away from premises. To consult with a Florida Peninsula insurance professional there is no obligation or cost. Determine if you have adequate homeowners insurance to protect your Sarasota home. Many times, our home insurance policy quotes provide significant cost saving and/or provide an increase in policy coverage. Local flood zone and base flood elevation information that is not yet captured on the FEMA map products is available by making a flood zone determination request from the Building Department Floodplain Specialist at 861-5000. The Sarasota County High Risk Flood Zone interactive map allows all interested parties to search for County parcels by address and determine if the parcel is intersected by a FEMA-designated High Risk Flood Zone and the local Community Flood Hazard Area. NOTE: Check the Government Listings in your phone book for a full departmental listing. Fire and Emergency Medical Services (EMS) Operations operates 21 fire-rescue stations and seven EMS only stations. Sarasota County Fire Department employs over 500 Firefighter/EMT’s of which 236 are Firefighter/Paramedics, and are supported by 60 volunteer firefighters. The Sarasota County Lifeguard Service originated over thirty years ago as a volunteer organization. Skilled professionals are now responsible for public safety at six beaches spread over a 36-mile area of the Gulf Coast. From north to south these beaches are: Lido, Siesta, Nokomis, North Jetty, Venice and Manasota. The Lifeguard Service training of the Lifeguards maintains the “Preventative Lifeguarding” stance, which is seeing the event happen before it happens. 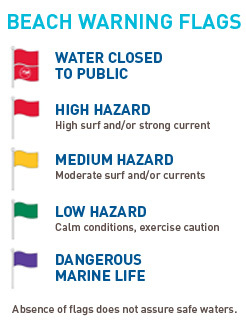 Sarasota County Beach Lifeguards have some of the safest beaches in the State of Florida. The Lifeguard staff training includes passing biannual qualification testing and becoming First Responder Certified. The Parks/Landscape Maintenance Division of the City of Sarasota Department of Public Works plans, designs, builds and maintains parks, streetscapes, landscaped medians and other public facilities landscapes for the use and enjoyment of the citizens and visitors of our community.